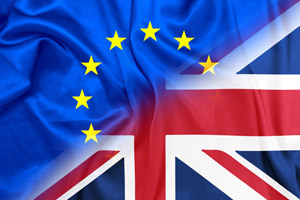 The German legislator has passed a new bill that empowers the country’s financial regulator BaFin to extend passporting rights of UK financial institutions including re/insurers in the event of a no-deal Brexit. The new regulation, which will come into force on 29 March, will allow the extension of passporting rights for up to 21 months after the UK leaves the EU without a deal. The new provisions will apply to insurance and reinsurance, including Lloyd’s business. However, the bill does not contain any special provisions for insurance intermediaries. Clyde & Co partner Henning Schaloske said: “This is a welcome move by the German legislator to remove some of the uncertainty for both insurers and policyholders in the event of a no-deal Brexit, which is increasingly being seen as a very real possibility. Though, UK insurers can settle already existing insurance contracts within the 21 month-period, they will “probably be obliged to use their own employees for the administration and settlement of these contracts,” according to legal intelligence firm Lexology. British insurers could be mandated to partner with authorised German insurance intermediaries to service contracts. “They will probably be not allowed to continue to cooperate with UK insurance intermediaries who after Brexit will no longer be allowed to rely on FoE/FoS,” Lexology added.